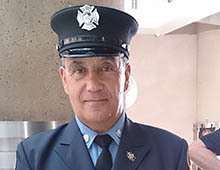 PHOENIX – Joseph Tufano still remembers the emotions he felt when terrorists brought down the World Trade Center towers, with dozens of friends from his days with New York City’s fire department among the dead. 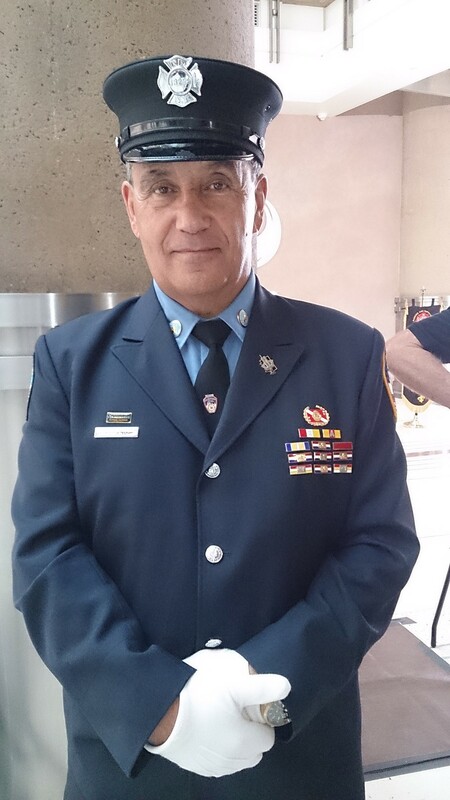 Tufano retired and left New York in 1996 and moved to Arizona, becoming a firefighter again with the city of Glendale. He had a newborn daughter then but took the rest of his vacation time to get on a plane to New York, where for a month he helped rescue those still stuck under the rubble. On Thursday, he joined those marking the anniversary of 9/11 at City Hall, where Mayor Greg Stanton praised those who rushed to aid those in need. Tufano said he attends the 9/11 ceremony each year because it is important for him to remember, but he still struggles with the emotions that come with attending. The Fire and Police Honor Guard opened and closed the ceremony, where current and past first responders and members of the public paid their respects. The event included a flag that flew over Ground Zero and the tolling of a bell. Ruben Saavedra, attending the ceremony for the first time, said that after being a soldier for 11 years 9/11 events are hard for him. Frank Stoecker, a retired New York Police Department lieutenant, said the event was his first 9/11 memorial ceremony in Arizona. Joseph Tufano, a former New York City firefighter now living in Arizona, said he lost dozens of friends the day the World Trade Center towers fell. 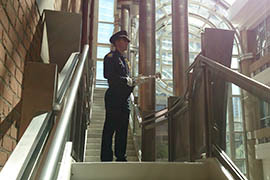 He came to Phoenix City Hall on Thursday for a 9/11 anniversary ceremony. 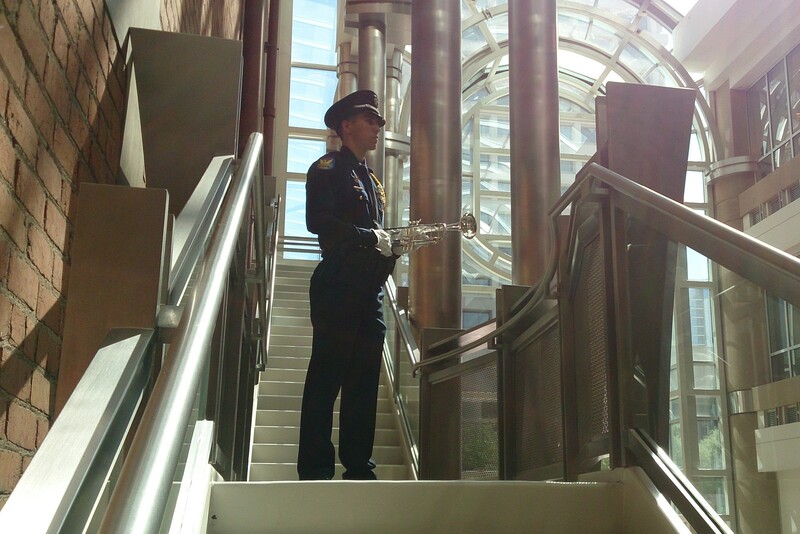 A bugler awaits his turn in the city of Phoenix ceremony marking the anniversary of the 9/11 attacks.